Separation hurts, divorce doesn't have to. questions of the divorce process. doing it themselves is a realistic option. NOTE: Select this option if you do not have any children, do not have dependent children over age of 18 with a disability, are not expecting a child with your partner, or all children over the age of 18. NOTE: Select this option if you are not married, and have any children under the age of 18, have any dependent children over the age of 18 with a disability, or are expecting a child with your partner. Schedule an appointment with one of our experienced New Mexico lawyers who practices New Mexico Family Law. Create your account, review directions and gather the information required to complete each form. Complete online questionnaire to build your document. Consult one of our Lawyers to seek advice during the process. Purchase, download and sign your document. Instructions are provided to assist you with filing with Court. When your documents are completed, a legal expert is available to review your documents (for additional fee). How much child support should you expect? 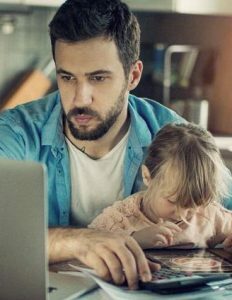 In New Mexico, child support is the financial contribution from the non-custodial parent to the custodial parent towards the expenses of raising the child. Generally child support expenses include the basic necessities such as food, clothing, shelter and medical care. You may use this calculator to determine the anticipated child support for your situation in just minutes. This calculator is provided to you at no cost, but registration is required. Register now and begin - It’s free! 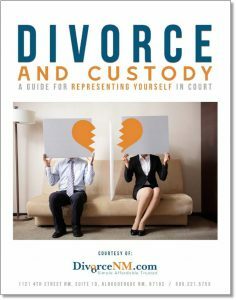 DivorceNM.com allows you to take control of your divorce in New Mexico by assisting you to craft a divorce, custody or child support agreement that fits your needs and budget. And at any time, you have the opportunity to consult an attorney about your case.